The Auchentoshan 12 Year Old Single Malt Whisky is one of our personal favourites and its now available to buy with a saving of £2. We know its hardly a huge discount but its still a positive reduction on a fantastic, and inexpensive whisky. 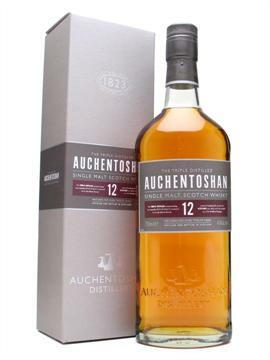 This Auchentoshan 12 yrs expression replaced the old 10 year-old in 2008, when the range was totally revamped. Some may say that this flat-style bottle looks a lot like the Highland Park presentation, but we reckon they’ve done a better job than HP. Anyway, who cares that much about the bottle, because when you add this to your collection we expect it to be emptied fairly soon.